Taking very vibrant, saturated, lush landscapes has never been easier when taking images in the RAW format. You can easily get perfect looking images in post processing when using Adobe Camera RAW, which is included with Photoshop. 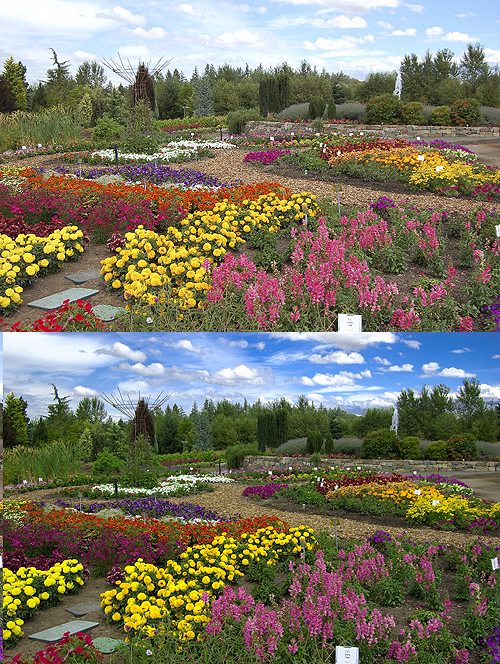 The first picture is the original RAW, the 2nd is after post processing in A.C.R. When you open your RAW in Adobe Camera Raw, click on the fourth tab labeled HSL/Grayscale and the default subtab of that should be set to Hue. Simply slide the Yellow slider to the right. This will turn the yellows into greens. Problem solved. In this particular example, however, there were yellow flowers as well. In order to not make those greens, I slid the green slider to the right. This simply made the greens greener and the yellows just green enough. If all you have in your photo is just a bunch of ugly dead yellow grass, then by all means, bump the yellow slider all the way up to +100. 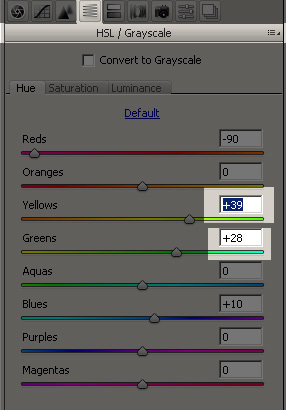 To make things more colorful, click the middle tab that says Saturation. I bumped up the Greens to +67 and the yellows to +15, but all the values I've been mentioning must be applied to the specific photo you are editing. To finish things off, I went back to the first called Basic and bumped the Saturation and Vibrance up to +10! This method is better than using Photomatix to create High Dynamic Range (HDR) images, in my opinion (although the effect is different in nature to begin with, they are a but similar). I tried to make an HDR composite of this same image and it looked like crap compared to the one I made in A.C.R. Interesting… I do use HDR quite a lot to bring out colours but I will look at what you have done as the before and after pictures are very different. 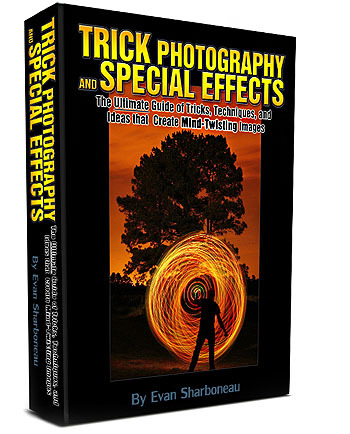 Easy technique to give your images some pop – there’s a fine line between getting it great and over-doing it, though. Over saturate a little too much and the cheese factor jumps, or sometimes it can create more noise and artifacts. As long as you don’t push it too far, they come out spectacular. Nice post – good job on that image. Interesting post. Using RAW gives you the option to use some really powerful post processing tools. Wow, I love what you’ve done with the picture above!!! It is not overdone at all. but this article is actually a pleasant paragraph, keep it up.